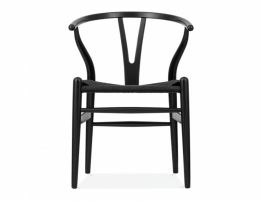 The timeless danish style that is Laak is now available in all black. 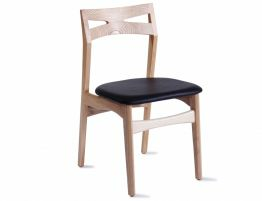 Laak dining chair oozes beauty with classic tapered lines of Scandinavian design with a contemporary minimal silhouette. 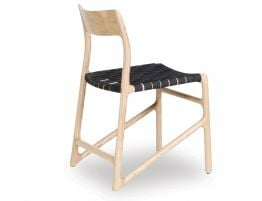 This dining chair is an obvious choice for many different interiors. 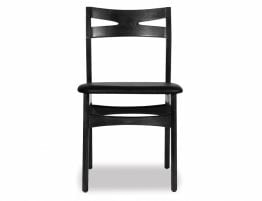 Reset your table with all black chairs and see your room transform into a modern sleek eating area. Solid in frame you can rest assured Laak will withstand even the busiest of households and with a padded seat, it's sure to become the new favorite place to eat. 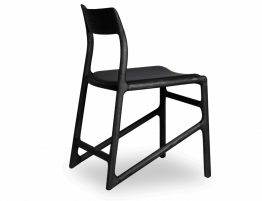 Laak dining chair in black will look incredible in a commercial environment. 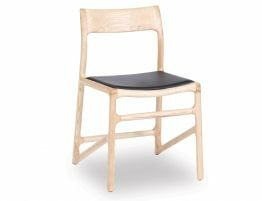 Built to last and ease of care makes this dining chair a smart choice. 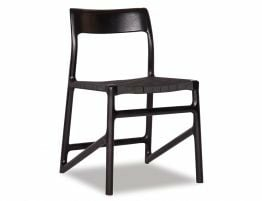 Transform and old space or create a contemporary eating area with Laak all black dining chairs.